Monarch is your source for all exterior products. From siding, roofing, decking and tools, we have you covered, from top to bottom, for all your commercial and residential needs. Welcome to Monarch! 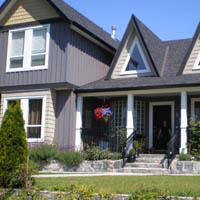 We are a premium supplier of exterior products including siding, roofing, railings, venting and much much more. Come visit our showroom and talk to our inhouse sales staff for more information. We have 5 locations in Alberta: Calgary, Edmonton, Acheson, Red Deer and Lethbridge. 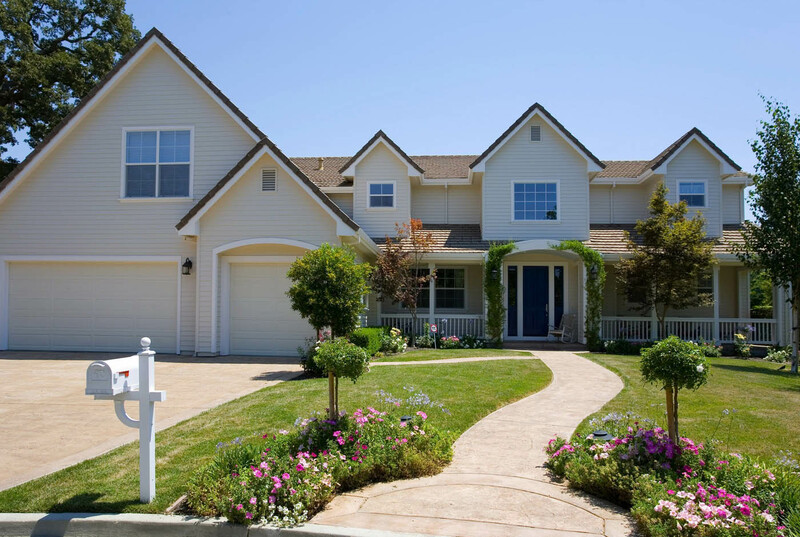 Outside of remodeling your kitchen or building an addition, installing siding on the exterior of your home is the single most effective home renovation project that you can under take. You can expect a return on investment in the range of 85-88%, depending on the type of siding material you choose. What should you look for when choosing siding and how best to select the style and color for your home? Let�s examine the many options available to ensure the most successful installation possible. 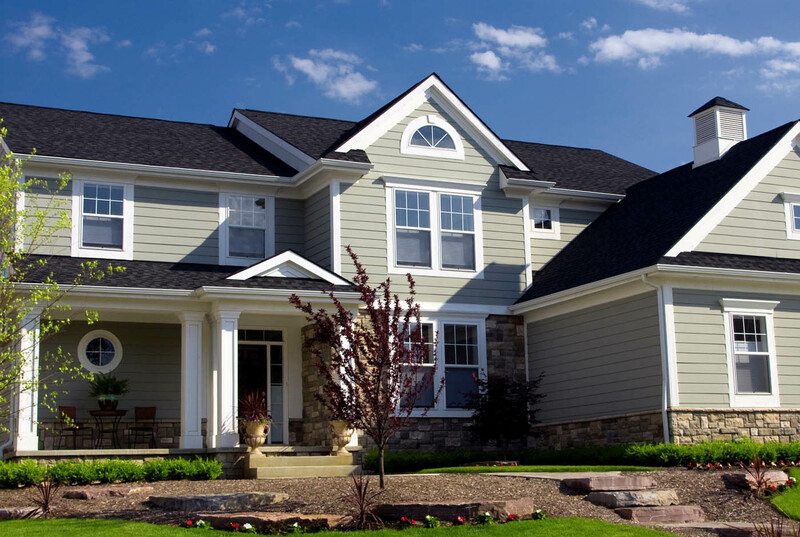 One of the most common reasons for deciding to install siding is to provide superior protection from the elements. In areas where wind and rain can prematurely age a wood paneled exterior, vinyl siding is an excellent way to extend the life of your home and eliminate the need for painting. Vinyl siding comes in a variety of gauges � an increased panel depth equals a greater defense against weather related forces. Finding a balance between price and gauge is an important factor when choosing siding for your home. If you live in a region frequented by severe weather, especially hail storms, vinyl siding is your best choice, as it is resistant to dings and dents. However, aluminum siding is a popular alternative in a wide range of other climates and is extremely economical. Benefits include its ability to repel water and yet remain relatively rust resistant, as well as its insulating qualities. Unlike vinyl siding, aluminum siding obtains its color from a coat of paint at the factory, so while it will remain relatively maintenance free for years to come, eventually it will need to be repainted. There have been several recent technological advances in the development of vinyl siding that have served to increase the likelihood that vinyl is your best option. These improvements have created vinyl siding with increased insular properties and improved strength, although they come at an elevated cost. If you can afford to go the high tech route, than you will no doubt reap the long term reward of lower energy costs and above average resale value. Siding was designed with the intent to mimic the look and texture of wood. With this in mind, choose the siding that most reflects the style of your home. There are numerous profiles available to enhance its appearance and create a visually appealing fa�ade. Variations include a traditional clapboard siding, the more decorative dutchlap or an intricate beaded profile. Further options are also available and include the cedar-like "shakes" patterned siding and the ornamental scalloped-edged design. Of the many choices you expect to make when choosing siding, what color siding you should select will probably be the easiest decision you will have to make. While the color palette offers a wide range of options, most are fairly neutral and up until recently were rarely found in darker shades. Again, technology has pushed the envelope, adding rich red and vibrant yellow tones to the available color spectrum. 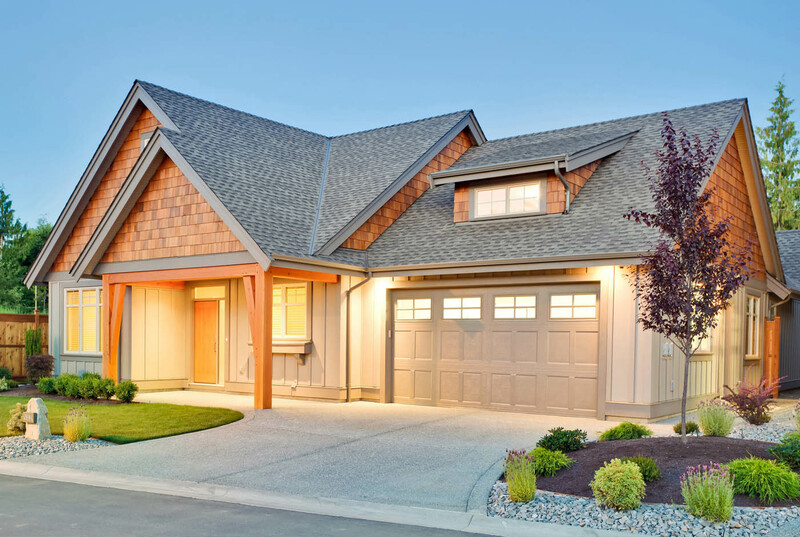 Many homeowners pay very little attention to the roof of their home; it is just something that sits on top of the house and is there to keep the snow and rain out and to provide protection against the heat and cold. That is until there is a problem or the roof needs to be replaced. 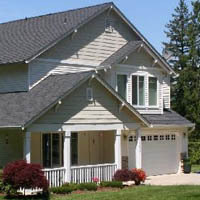 If you are replacing an old roof or adding a roof to a newly built home or addition, there are many things to consider. Roofs can be made of, among other things, asphalt / fiberglass asphalt shingles, tile, wood shakes, concrete and clay. The choice you make will depend on your budget, but also on the style of your home and the climate in your area. Perhaps the most popular of all roofing materials, asphalt shingles are made of asphalt saturated felt that is coated with a layer of asphalt weatherproofing on the top and bottom. The top surface is covered with mineral granules that act as a shield against the elements. Asphalt shingles have a somewhat smooth texture that makes them appropriate for any style home, but are also available in styles with a more rustic look that simulate wood shakes. Asphalt shingles are inexpensive and easy to install and repair, but have a fairly short life span and are not environmentally friendly. Fiberglass shingles are asphalt shingles with an inorganic fiberglass mat base instead of felt like regular asphalt shingles. Fiberglass shingles are extremely durable and resistant to rot and fire. Like asphalt shingles, they are available in many colors and styles, easy to install and fairly inexpensive. Whether they are made of traditional clay or concrete, tile roofing will last for the life of a house and need little or no maintenance. Both concrete and clay tiles are extremely durable, fireproof and come in many colors and styles, although those made of clay are far more costly. Tile roofing is available in several colors and styles including half round, sculptured, shingles and flat interlocking. Tiles are easy to maintain but installation is difficult and must be done by a professional. Because it is very heavy, tile roofing is most commonly used for new buildings that have been built in accordance with specific weight and structural requirements. Slate roofs are very durable and will usually last the life of the house. However, slate cannot withstand heavy weight and can crack, so ice and snow should never be allowed to build up for long periods of time. Slate is attractive but requires a lot of maintenance, is very expensive and requires professional, specialized installation.